Many observational studies have already shown definite links between low vitamin D and hypertension but didn’t prove that vitamin D deficiency actually caused the disease. Now we know. Vitamin D has been shown to lower hypertension risk. If you’re looking for a natural remedy for high blood pressure and you haven’t had your vitamin D levels checked recently, now is the time. It’s likely you have a vitamin D deficiency and are in need of vitamin D supplements to help lower your blood pressure. Before 2013, a number of observational studies had shown definite links between low vitamin D and hypertension, but they didn’t prove that vitamin D deficiency actually may cause the disease. But an important large-scale genetic study (more than 155,000 individuals) known as D-CarDian aimed to establish the causal role of low vitamin D on cardiovascular disease using genetic markers. What did it prove? That low vitamin D levels indeed can cause hypertension. It was the world’s largest study to not only examine the relationship between vitamin D and high blood pressure, but to actually prove cause and effect. 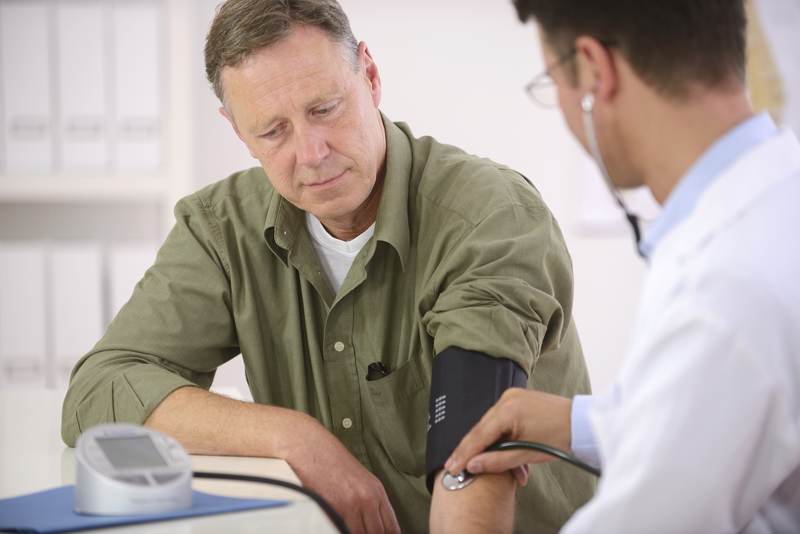 What’s the “right” blood pressure reading? 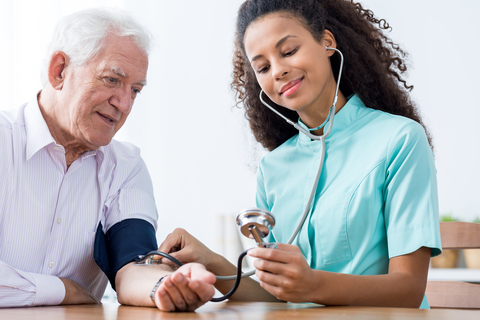 Author Jim Black examines recently revised recommendations in New Hypertension Guidelines: Rethinking Blood Pressure Standards. Those with high vitamin D levels had lower blood pressure and therefore a reduced risk of hypertension, according to D-CarDia data, which came from numerous centers in Europe and North America. For every 10 percent increase in vitamin D levels, there was an 8 percent decrease in the risk of developing hypertension. Is Vitamin D a Natural Remedy for High Blood Pressure? If you do have low vitamin D levels, will taking a vitamin D supplement help treat your hypertension? Possibly, according to results of the small number of studies conducted. While the latest studies to examine vitamin D as a natural remedy for high blood pressure have been positive, the truth is that results from studies thus far have been mixed. A randomized, double-blind, placebo-controlled study led by a team of doctors from Brigham and Women’s Hospital in Boston, for example, showed that taking vitamin D3 supplements for three months significantly lowered blood pressure readings. The Most Effective Natural Remedy for High Blood Pressure? The highest dose of vitamin D (4,000 IU per day), data showed, turned out to be the most effective remedy for hypertension. A group of 250 participants received either placebo, 1,000, 2,000, or 4,000 IU of vitamin D3 per day for three months. The results, published in Hypertension, showed that as vitamin D levels went up, systolic blood pressure (the top number) went down. While the blood pressure of those taking the placebo increased slightly during the study period, it decreased for those taking the vitamin D. The higher the dose, the more blood pressure was reduced. For those taking 1,000 IU of vitamin D3 per day, systolic blood pressure decreased by 0.7 mmHg; for those taking 2,000 IU, it decreased by 3.4 mmHg, and for those taking 4000 IU, it decreased by 4.0 mmHg. Overall, the researchers found that systolic blood pressure decreased by an average of -1.4 mmHg for each additional 1000 IU per day of vitamin D3 taken. How do you know if you have vitamin D deficiency? And how much vitamin D should you take as a natural remedy for high blood pressure? Vitamin D is easily measured with a simple and widely available blood test. You should know your vitamin D level, and not just because of its relationship to your blood pressure. Vitamin D is important to every cell and tissue in your body and critical for proper immune function, bone density, heart health, and mood. If your doctor won’t order the test for you, you can do it yourself through various direct-access laboratory websites in most states in the United States. The most accurate way to measure how much vitamin D is in your body is the 25-hydroxy vitamin D blood test. A level of 20 nanograms/milliliter to 50 ng/mL is generally considered adequate for healthy people. However, some research indicates higher levels may be optimal and anyone with hypertension should aim for a minimum of 32 ng/mL. If your level isn’t at least 32 ng/mL, take 5,000 IU vitamin D3 per day for three months and then re-check your levels. You may then need to decrease your dose to a lower “maintenance” dose, such as 1,000 to 2,000 IU per day. Even if you don’t have a documented vitamin D deficiency, you should be taking 800 to 2000 IU per day of supplemental vitamin D3 to maintain optimal levels. Originally published in 2013, this post has been updated. blood pressure, blood pressure readings, bone, bone density, cardiovascular, cardiovascular disease, food, for high blood pressure, health, heart health, high blood pressure, high blood pressure and, hypertension, hypertension guidelines, low levels of vitamin d, low vitamin d, low vitamin d levels, lower blood pressure, lower your blood pressure, mood, natural remedy, natural remedy for high blood pressure, new hypertension guidelines, remedy for high blood pressure, supplement, supplements, systolic blood pressure, vitamin, vitamin d, vitamin d and high blood pressure, vitamin d and hypertension, vitamin d deficiency, vitamin d3. Do all Vitamin D analogs have the same effects? For example, I know that the prescription Calcitriol (active Vit.D3) can increase phosphorous levels as well as decrease parathyroid hormone levels. Would Vitamin D3 (over-the-counter) have the same effect? Vitamin D level was low at 18 on 12/16 & was symptomatic with shortness of breath upon minimal ecertion, tachycardic to 150’s and bp high up to 180’s over 100’s or even higher. Started vitamin D supplements over the counter according to doctors advice and amazingly all above symptoms are gone. Bp now actually on low side 106/78 and at times lower. Heart rate 70 to 80’s and no more shortness of breath. Been on vitamin D a little over 2 months. Hemoglobin low at 10 placed on iron daily with vitamin c last iron count almost 12. I’m on no blood pressure pills- never was and no heart medicine. I do believe it’d the vitsmin D that corrected my high blood pressure. Awesome.Vitamin D is so important, I am learning, to prevent many health issues. Hi Jane, can you tell me in detail what tests you have done and what dose of vitamin D you took. Please send me in detailed mail. I am taking bp medication. Please help. I took vitamin d last year hoping to get rid of some of my symptoms, but it didn’t help much it actually made me feel worse, and I decided to stop supplementating. This year however I decided to supplement again but I added magnesium and Vitamin K2 as MK7, and guess what? This combination created an elixir! Blood pressure is significantly better, mood is better than ever and I sleep like a child now. I’m mind blown. NOTE: I’m taking 5000 IU of vitamin D3 softgels a day. Vitamin d is probably the single most essential hormone (yes hormone) to human health. Life guards have a blood level of 120 of d and they’re extremely healthy. 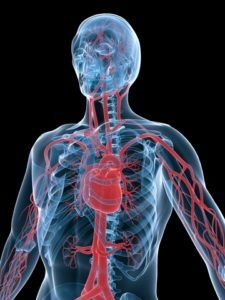 I have been struggling with high blood pressure for 2 years. It was as high as 180/100 when I was put on blood pressure medicine. On my medicine it would read on the average 134/84. I couldn’t get it down any lower. Then I lost 20 pounds, lowered my salt. it came down a little. The results of my yearly physical revealed that I had a vitamin D deficiency. I forgot about taking over the counter vitamin D supplements for a while. Eventually I bought some vitamin D (2000 IU) and started to take them everyday. After 2 months of taking Vitamin D everyday my blood pressure has gone down significantly. My readings are between 118/77 and 103/69 now. I bought a new reliable blood pressure machine for home. I can’t believe it. I am staying on my medicine until I lose more weight. My goal is to get off of my medication by next year. If you have high blood pressure try taking vitamin D, it can’t hurt.